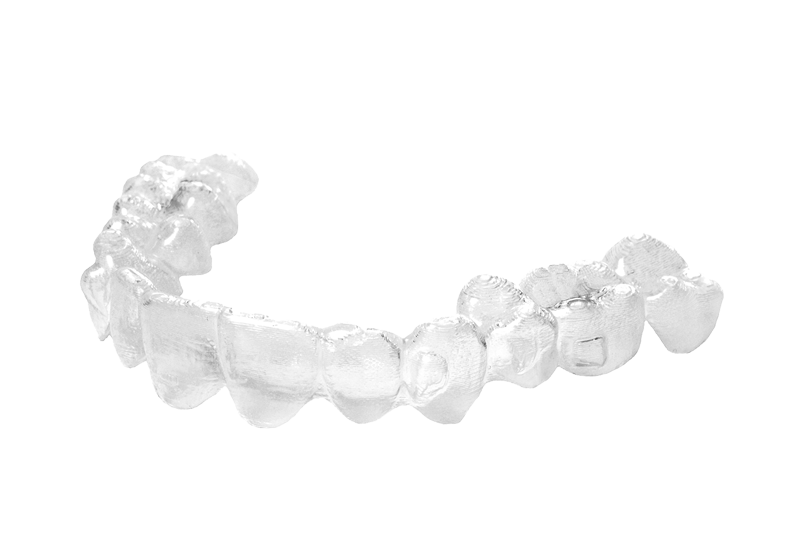 ClearCorrect tray systems render a modern straightening method for ultimate orthodontic camouflage. A straight smile has never been easier to enjoy. Clear plastic trays, known as aligners, can work the magic of braces without the shine of metal. Combined with sophisticated 3D software, this technology brings a new smile within reach for most adults and mature teens. Your teeth are as individual as you are, but you are no longer stuck with the one-solution-fits-all traditional braces. We’re dedicated to helping patients achieve the smile of their dreams with ClearCorrct clear aligners. More choices than ever exist for many procedures in dentistry allowing for highly customized care for your situation and needs. Our doctor can help you discover your path to a straighter smile using Invisalign®. Removable trays can be set aside for short periods allowing normal eating and cleaning. Enjoying an apple without the intrusion of brackets and wires works well for many patients. Clear aligners work extremely well for adults, but responsible teens can be candidates too. And patients of any age can expirence the perks of straight teeth with aligners. It's never too late to discuss ClearCorrect for a bright, straight smile. Smooth plastic surfaces offer a comfort level to the tongue and cheeks unequaled by other forms of straightening. Gradual pressure on specific teeth with each aligner means less stress and shortened treatment times, in many cases. We dispense several sets of aligners at once, allowing you to change to a new one at home every two weeks. Take our smile assessment and see if you're a good candidate for ClearCorrect.